There are now a new generation of home gadgets which use Solar Power exclusively or to supplement existing power. Some will be a natural progression of existing technology, some are more surprising. Here is a list of some of the top home Solar Powered gadgets. 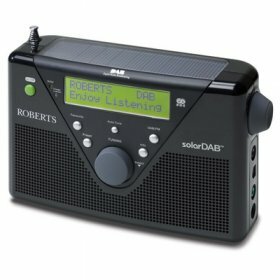 There are a plethora of models of radios out in the market that can be solar powered, or wind up powered, or a combination of both. Featuring all the functionality of a traditional radio the modern solar powered radio offers a green take on an old classic. Solar charged radios give you freedom and independence from traditional power sources, leaving you equipped for any situation and station. Torches are another product that has been around for a while, particularly as wind up technology. 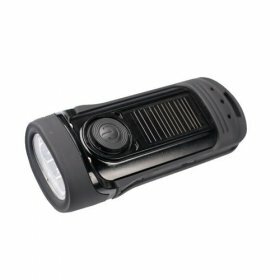 However, with the advances in both solar technology and improvements to light bulb technology it has made solar powered torches a credible green alternative. This is a progression of technology. Solar Panels have always used batteries so it was a logical progression to create Solar Powered Battery Chargers. You can now use Solar Power to charge standard batteries AA/AAA or the larger systems to charge up 150w of electricity power! 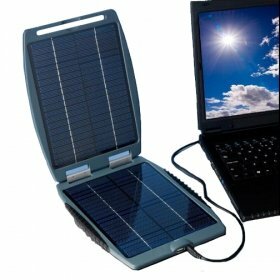 The advanced portable solar chargers can power most hand held devices nowadays. Most come with adapters to suit for e.g. a range of phones, digital cameras, PSPs and laptops. That’s right. The perfect gift for the eco-friendly well groomed man, a solar powered electric shaver. Use the sunlight to get a smooth finish and be environmentally friendly without the need to have a wet shave. The perfect Christmas gift!! 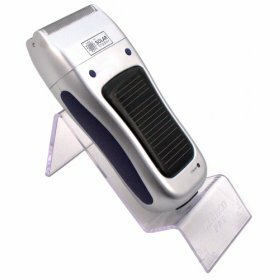 A solar shaver is a perfect companion for camping, travelling, or holidays. It is slim enough to pack away in a toilet bag and compact enough not to take up too much space in your back pack. No more fiddling with the batteries while trying to watch your favourite TV program. 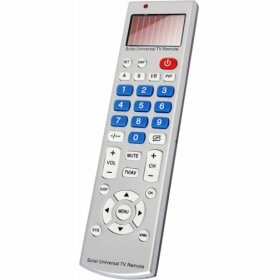 Using a Solar Powered TV remote will ensure that you can keep hopping channels in an environmentally friendly way! The above charger has an integrated solar panel that charges best under direct sunlight, though it can charge effectively indoors, even under artificial light. 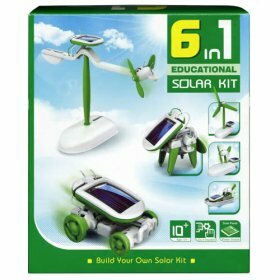 There are some interesting solar powered toys that are now available in the market. They include toys such as helicopters, windmills and racers. They use the solar panel to power moving components, such as propellers. This nifty mini solar kit is a great way to learn the power of solar energy. Requiring no batteries, this clever, educational toy can be assembled in six different ways to teach you how solar power is used to drive a small motor. It is amazing what Solar Panels are being used for at the moment and who know what products are in development that could revolutionise the home and save us energy and money.